Oil-Electric: First Tar Sands Delivery to Europe Sparks Protests! First Tar Sands Delivery to Europe Sparks Protests! As I previously reported, the first shipment of Alberta Tar Sands Crude, Western Canada Select, (WCS) has been quietly moved from Alberta through the original Enbridge Keystone pipeline from Hardisty Alberta to Cushing Oklahoma to Freeport Texas. 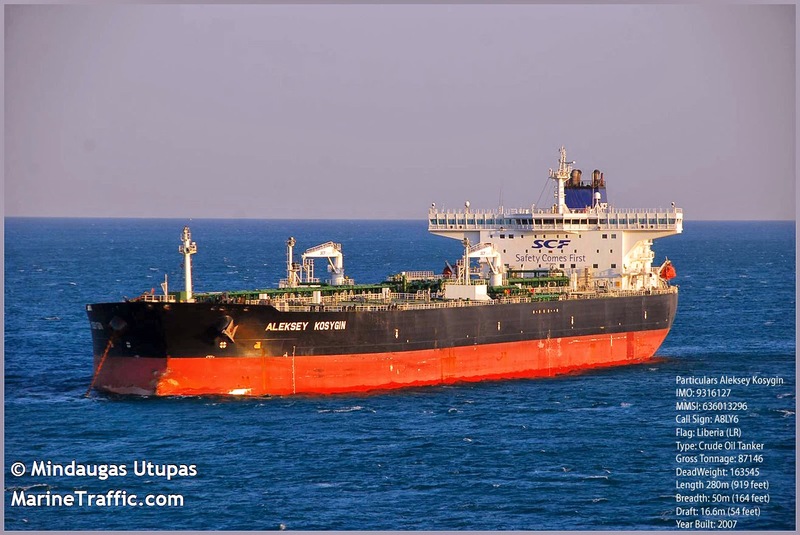 600,000 bbls (barrels) were loaded aboard a Russian tanker, M/V Aleksey Kosygin, and spirited away to Bilbao Spain. 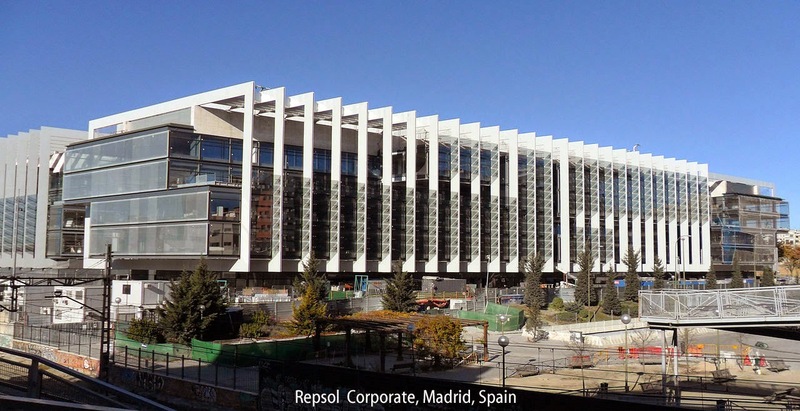 The WCS was purchased by Repsol, S.A., a Spanish multinational oil and gas company based in Madrid, Spain. It is the 15th largest petroleum refining company in the world, according to the Fortune Global 500 list, employing over 40,000 people worldwide. 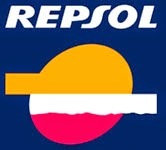 "Repsol says that its fuel cargo is being delivered as part of a pilot project to determine whether bulk imports are feasible, and rejects residents’ concerns about local pollution. “This crude produces no more emissions from refining than any other crude of similar characteristics,” Kristian Rix, a Repsol spokesman told EurActiv, adding that record investments in Repsol’s refining system had reduced emissions 16% since 2011, with plans for a further 6% cut by 2016. "In other parts of the world, tar sands refining facilities have been linked to increased cancer incidences near plants, and also to respiratory ailments such as asthma, cardiovascular illness, heart attacks, lung dysfunction and even premature death. “Repsol takes the environment very seriously, it is something the company spends a lot of money on and this has been publicized." But he dead-balled a question on why the firm was then importing tar sands, one of the most polluting of all crudes. “You will have to ask the extractors,” he said. “I just source the crude so I don’t control the metrics of how many emissions are produced. "Attempts by the EU to quantify the emissions from tar sands’ energy-intensive extraction process - and ensure that its price reflects this - have triggered threats of a trade war from Canada, and proved divisive within the bloc itself." 1. First tar sands shipment to Europe sparks protests. 2. EU faces down tar sands industry. 3. Canada Aims to Sell Its Oil Beyond U.S.
4. The Tar Sands Threat to Europe: How Canadian Industry Plans Could Undermine Europe’s Climate Goals (Natural Resources Defense Council). 5. Tar sands oil arrives in Spain, more expected with the Energy East pipeline (Council of Canadians). Robert, thank you for putting together all this research, I have not seen a single mention of this in the general media or even in more pro environmental blogs...remarkable. Again, thanks for such a thorough presentation. Thanks for the comment. Ironically several outlets, including the Huffington Post and The Guardian, have picked up on the PROTESTS in Spain, but none have addressed the bigger issue of HOW the oil got there. TransCanada pump the oil via the original XL pipeline to Curshing Oklahoma, and through the newly reversed (and renamed) pipeline to Freeport Texas. Considering all the foofaraw concerning TransCanada's frenzy to get the Keystone XL line approved, this galvanizes the fact they are ONLY interested in exporting the oil. We won't see a drop of gas or diesel.